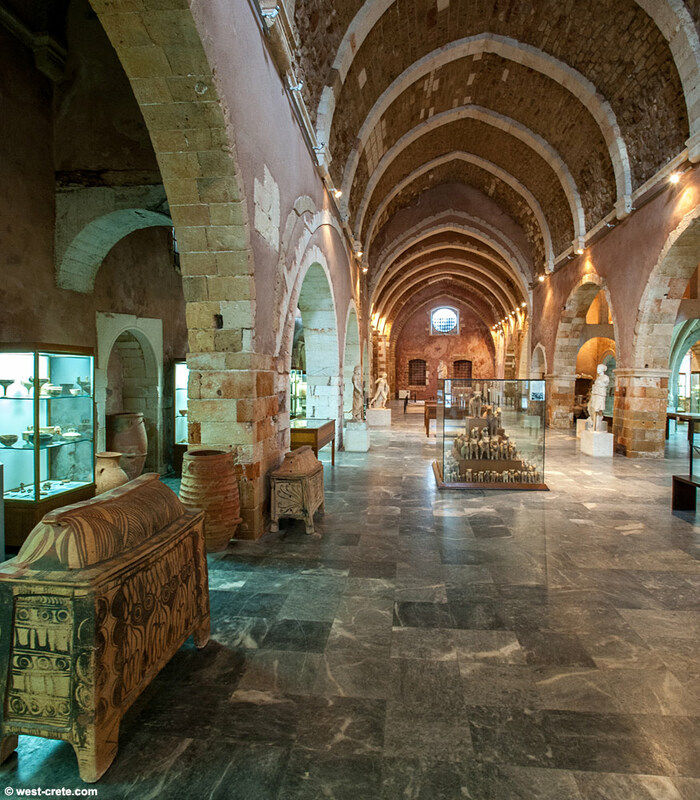 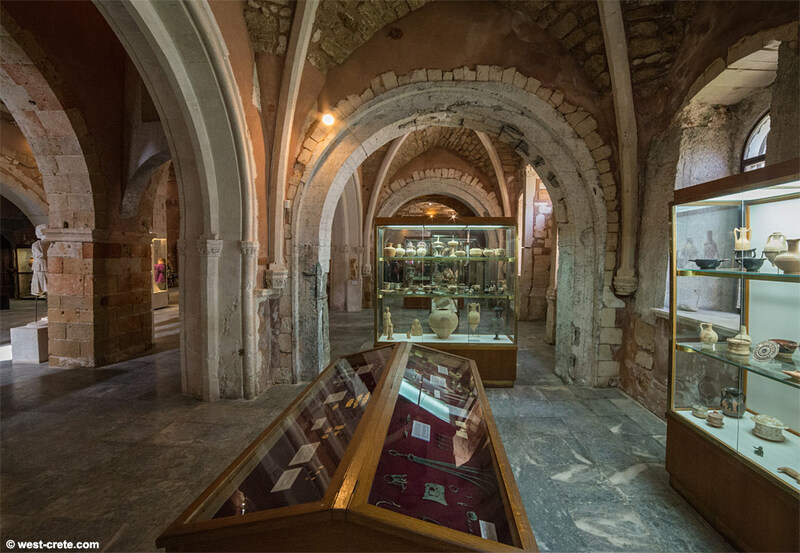 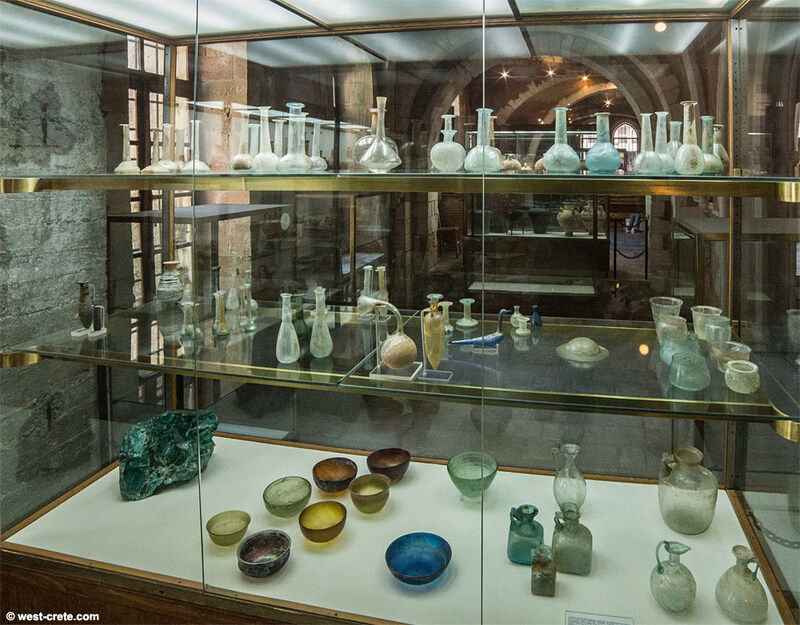 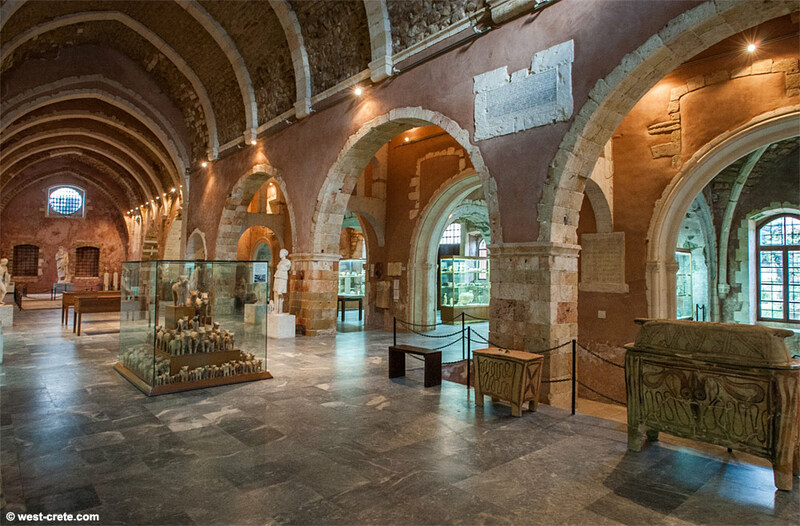 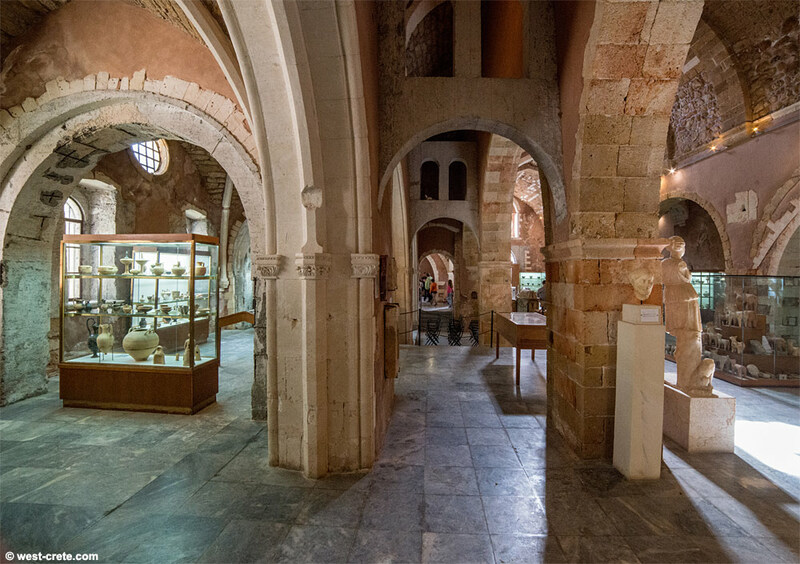 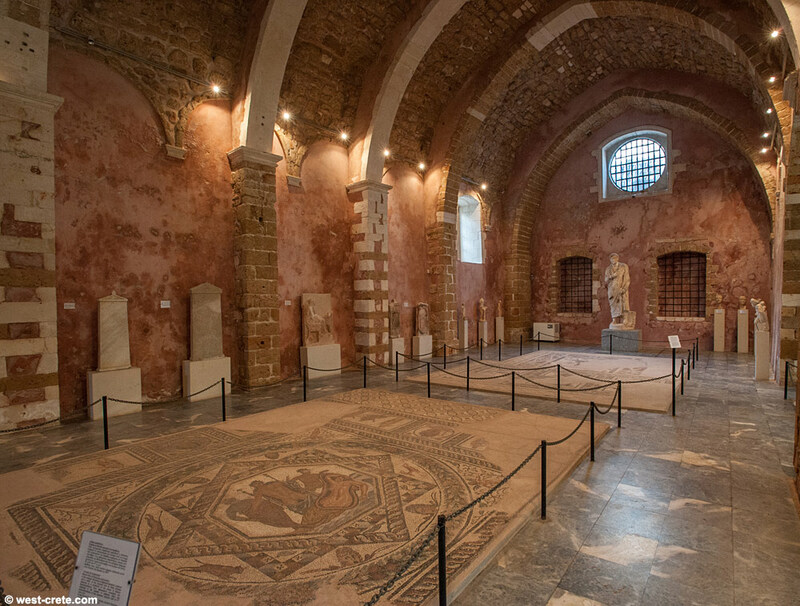 The Archaeological Museum of Chania is housed in the former Venetian church and monastery of San Francesco (Saint Francis). 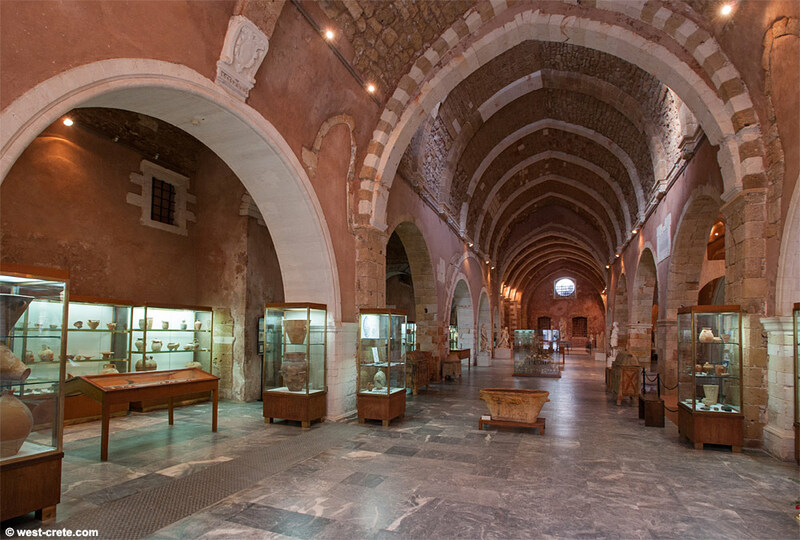 It was the largest Venetian church in Chania and one of the finest examples of Venetian ecclesiastical architecture in Crete. 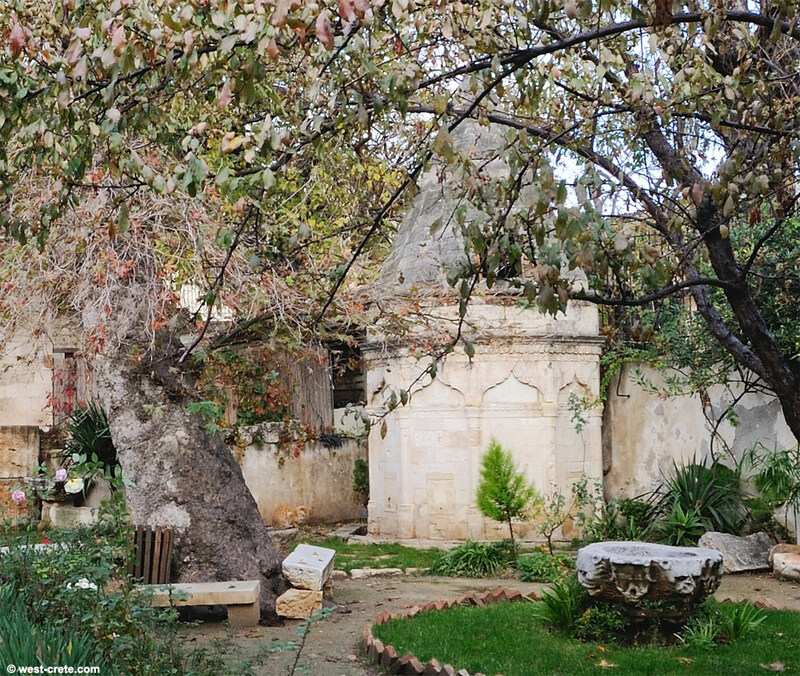 The church was turned into a mosque during Ottoman occupation and you can still see an elaborate octagonal ablution fountain in the small garden. 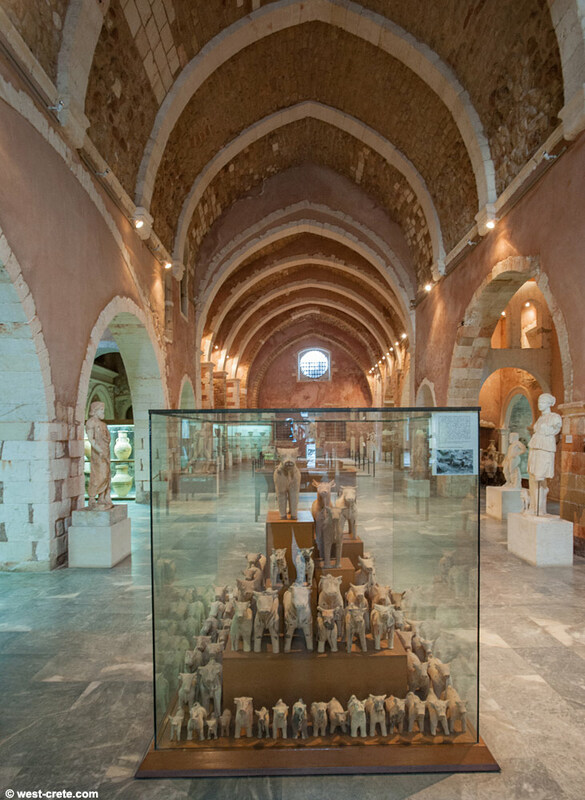 The buildng was turned into a museum in 1962. 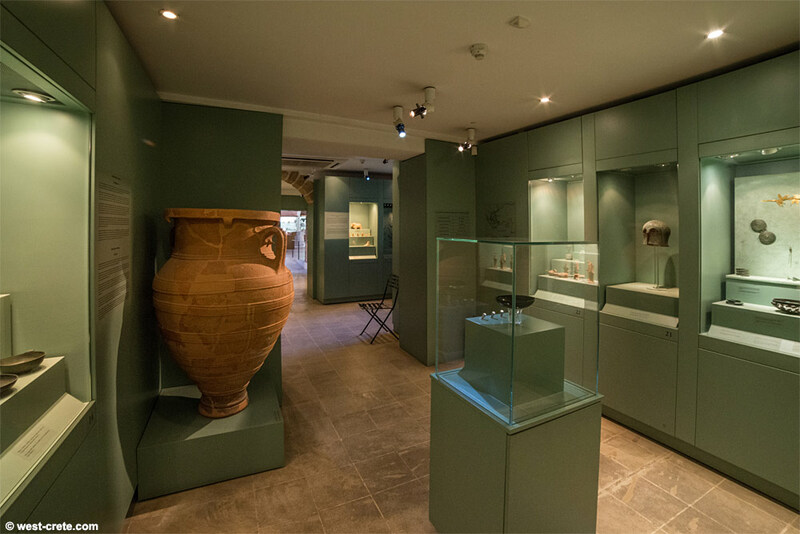 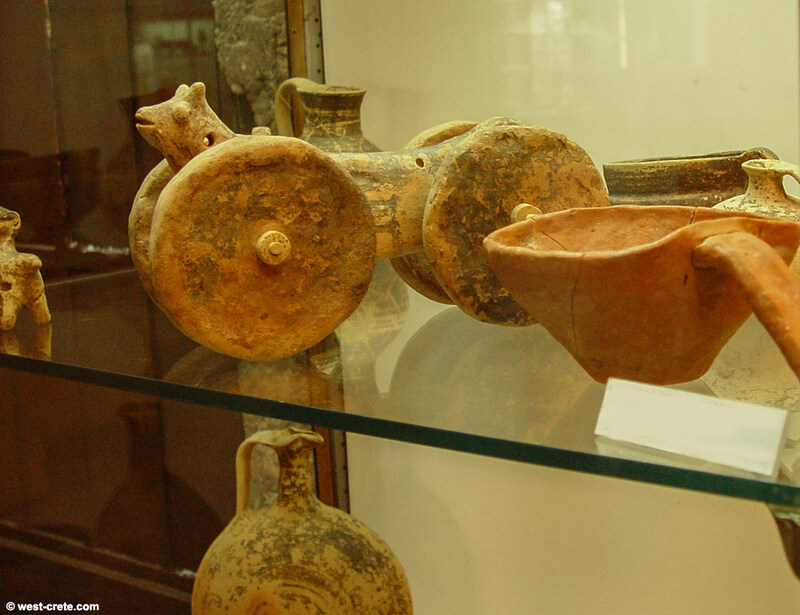 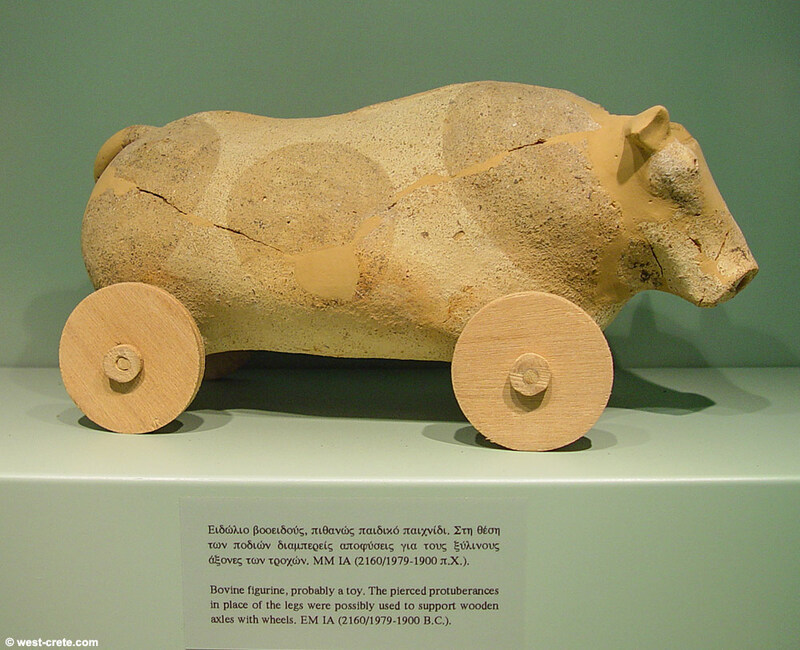 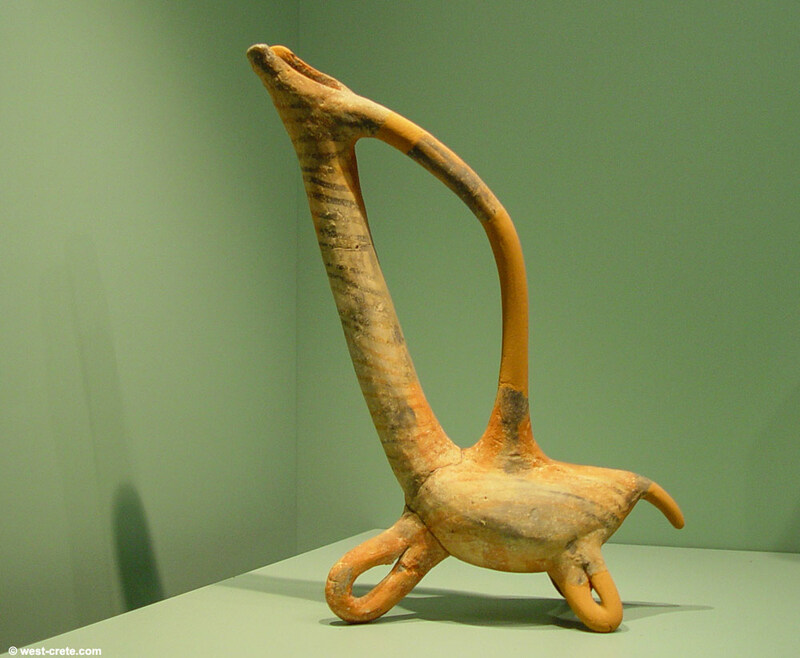 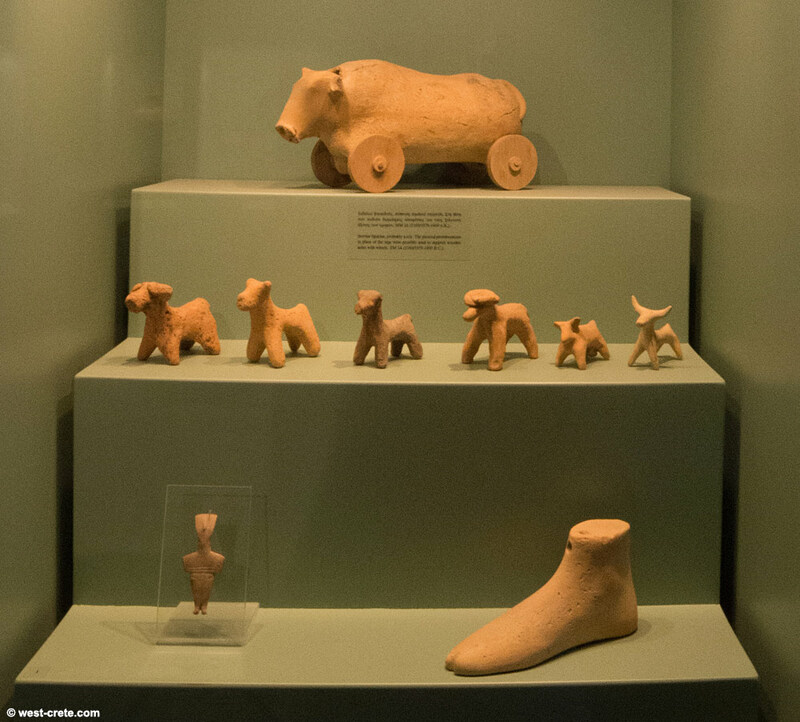 This small museum houses objects from the Neolithic and Minoan to late Roman periods found in the prefecture of Chania. 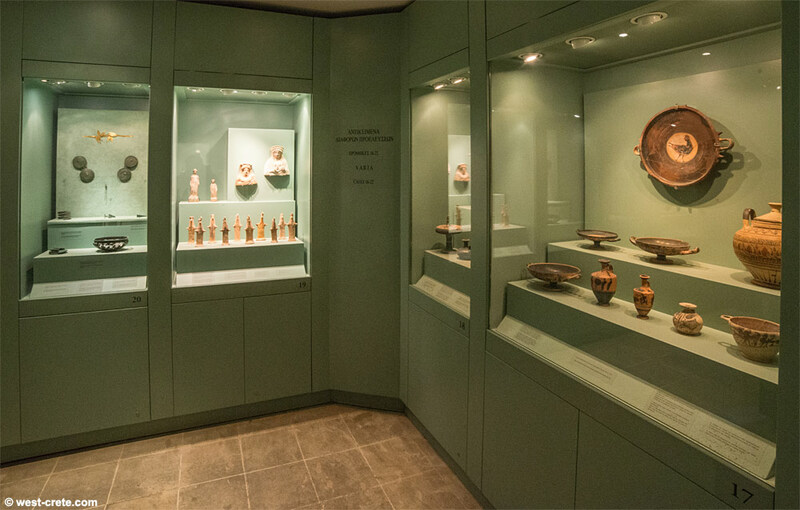 In 2000 the collection of Konstantinos and Marika Mitsotakis was donated to the Archaeological Museum of Chania. 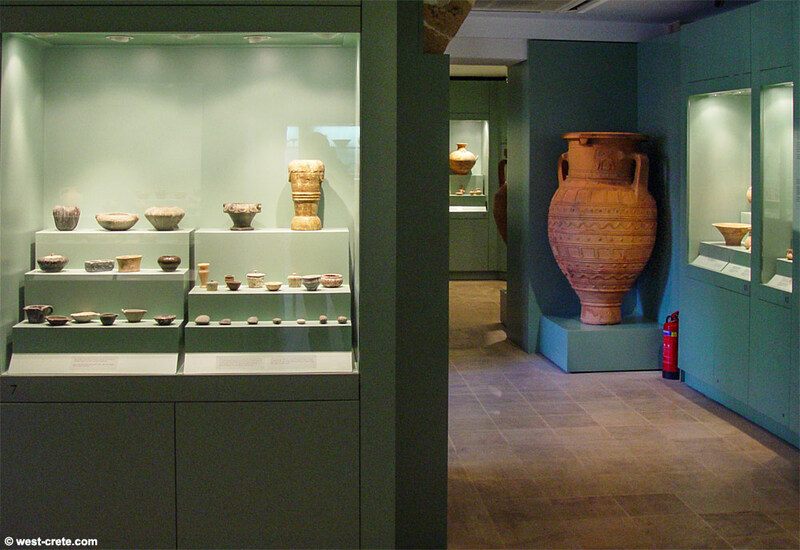 This collection occupies three small rooms to the North side of the museum. 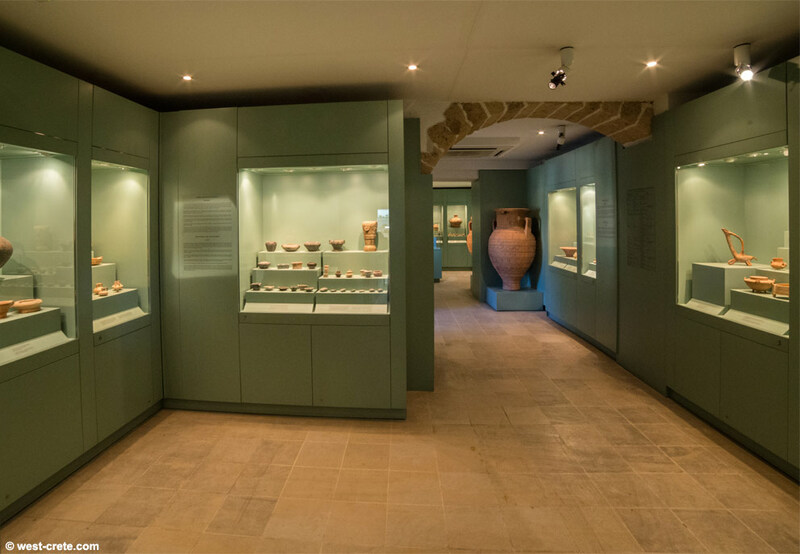 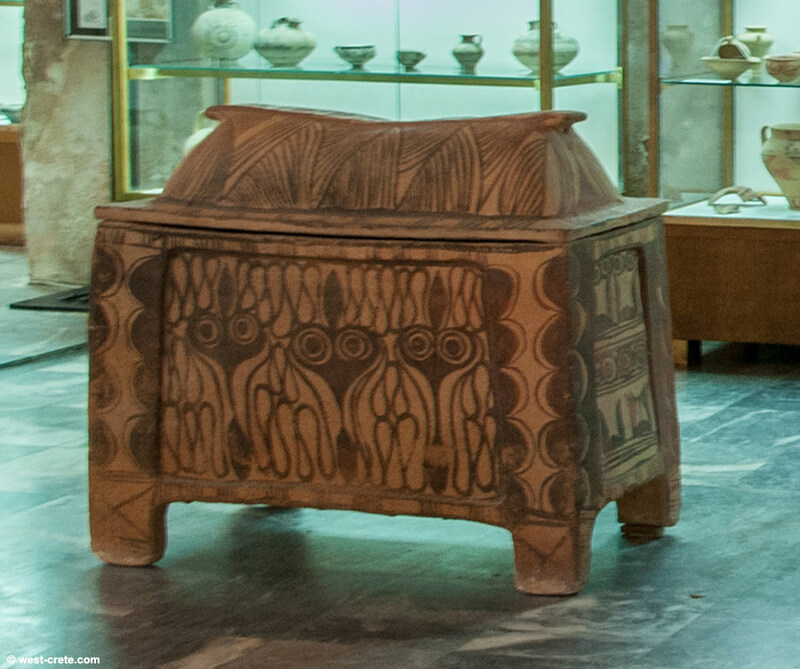 The exhibits are presented following a chronological order (from late 4th millennium BC to 3rd century AD.) 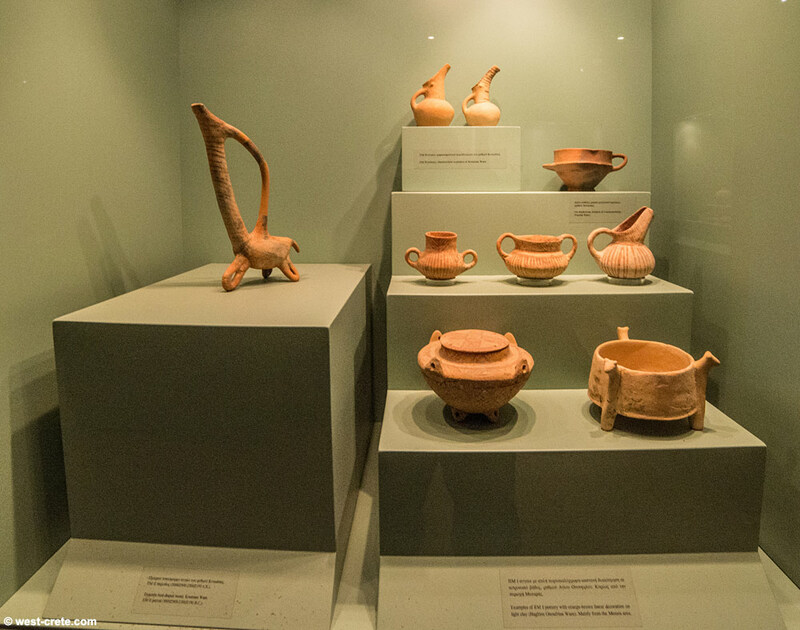 and include findings of Minoan pottery, pottery, stone carving, seals, jewellery and other items. 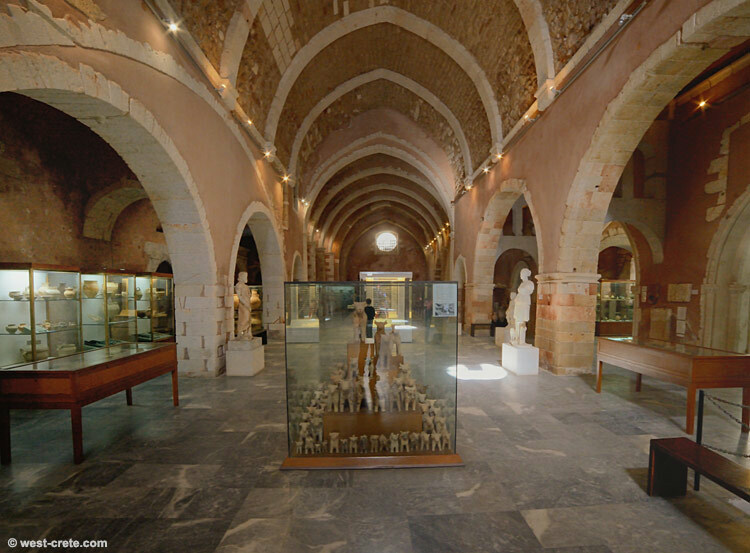 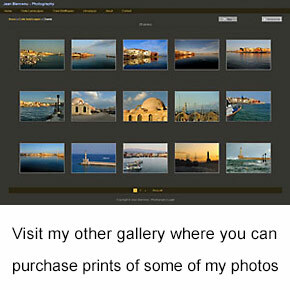 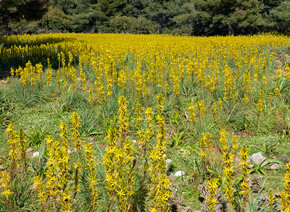 The museum is located near the bottom of Halidon Street in Chania. 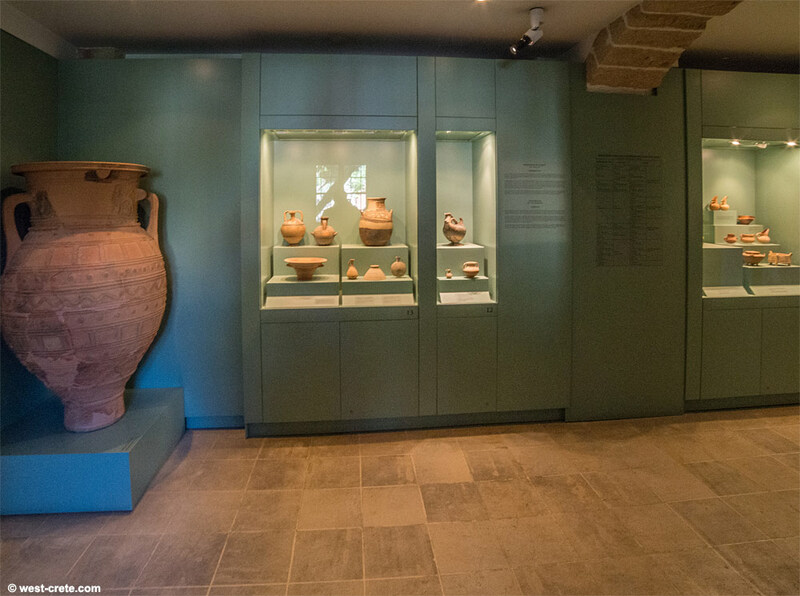 Opening times: Tuesday to Sunday 8.30-15h - Monday closed - Closed on public holidays - Please note that if you are coming to Chania especially to visit the museum you should first phone +30 28210 90334 to reconfirm that they are a) open b) the opening times have not changed.